This event finished on 21 April 2018. Each Saturday, Members in Charge MICs host an observing session at the Victoria Centre Observatory. All members on the Active Observers List are welcome to attend. An email notification is sent out in the morning preceding each session, announcing time and any special considerations. Any member wishing to attend must be on the Active Observers List, and must send an email to the list stating their attendance. Members may use any paved area of the hill so long as they inform the MICs before doing so. Proper caution must be exercised at all times. Parking at the lot next to the VCO is limited, so priority must be given to those with heavy equipment or mobility issues. Hi I am new to Victoria from the East Coast and was wondering if you had several telescopes available on Star nights for members to watch and observe . I do not have a telescope buut in Quebec we had nights where we can actually observe the starts at night when we were members .Thankyou for answering as I cannot wait to stargaze with you all . There is no age restriction for membership in RASC. Membership signup is handled through our national website: – just click on the “Join now” link. We offer a Family Membership, where both your son and you can join. Please be sure to indicate you will be part of Victoria Centre during the signup process, so we will see you in our membership roster. Hello, my son and I are interested in becoming members of RASC. What is involved in becoming a member and is there an age restriction or rules and regulations, guidelines that you could tell us about? Would it be possible to bring a class of Grade 3 children who are studying the Solar System in Science for a visit before Winter break? I would like to sign up to receive the email notifications and attend when I can. How do I sign up? Ok let me try this again, this time with my correct e-mail address. I’m an RASC member from Edmonton, moving to Victoria in Spring. I met a bunch of you this summer at the Metchosin Star party and the outreach events at the observatory. I”ll try to get to the Cattle point shinding tomorrow, but would it be possible to join you Saturday, weather permitting? We operate our observatory under the terms of a licence to use land agreement established with the landowner. Part of that agreement limits who may visit the observatory to only members of the RASC. Unfortunately general public may not visit or use the facility. So If I became the member, my friends do not need to be member? Please join us for one of our monthly meetings and maybe you’ll decide you’d like to become a member. Please email vp2@victoria.rasc.ca for instructions to join the active observer’s list. Hi Stella, unfortunately only members may visit the Victoria Centre Observatory. If you’d be interested in attending one of our meetings please visit us at UVic on our scheduled meeting dates. I am Global Village English center student. I am not member but I would like to attend as school activity with classmates. I wonder that October is good time for observing? also how many people can take? and how long does it take? Hi. I’m a member of the RASC, newly attached to the Victoria Centre after completing my move from Ottawa last month. How can I get onto the Active Observers’ list? Hi. We would like to attend the observatory evening this Saturday. We are a family of 4. Can you please advise how I go about registering and finding out more details? I’m very sorry, but our licence to use land agreement expressly prevents non-members from visiting the Victoria Centre Observatory. You might like to come to one of the planned Saturday evening star parties at the old Centre of the Universe coming up this summer. Stay tuned to our site to be the first in the know. Unfortunately I am not a member and I am actually not even from the area. I was really hoping to join you for the 10 May observation. I do not have a telescope with me either. Just down for school and personal plans to observe Saturn fell through. Is there any way that I can join you for this one? Hello RASC, I would like to attend one of the events in which I can learn more about astronomy. I understand there is an event happening on April 12 at the Victoria Centre Observatory. How can I attend this event? You should come to one of our monthly meetings held at UVic and say hi to our new members coodinator. Sherry can help you get started! I’m not registered to anything but I would really love to observe with this community. 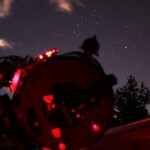 I’m pushing to be an astronomer when I grow up and I think doing this would really help me! :) Please get back to me if you can and tell me how I could maybe join in on these events! We have several chairs inside that can be taken on the observing pad too. Hello. I would like to be a part of the observing sessions, if possible. Are there places to sit or can one bring their own chair?